TRAVEL AND LEISURE IN BORNEO: LIKAS FLORA: Visualizing your garden BEFORE it exist! LIKAS FLORA: Visualizing your garden BEFORE it exist! What is unique about LIKAS FLORA is that you can have a concept of how your garden or house looks like before you even have to buy all the landscaping materials to enhance your property! How is it done? SIMPLE. 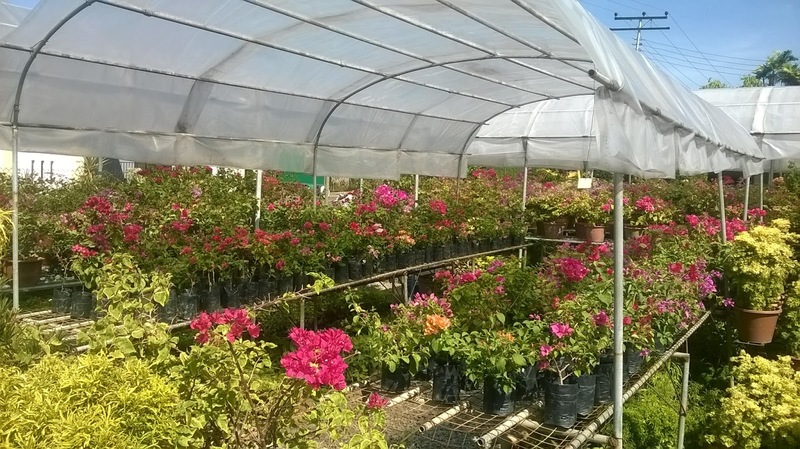 By taking pictures of your property, Nicky Peter, the owner of this Company, will then download them into the computer and beautify the surrounding in the pictures with his concept of landscaping features based on the plants the nursery have. Nicky will then produced few samples from the design he created and show them to his customers. If they are happy, and after the customers accepted the quotations, he then can proceed to landscape the garden based on the concept that had been approved by the client. Founded in 1979 at that time called Green Cottage, LIKAS FLORA now have three main nursery; at Likas, Signal Hill and also Gayang in Tuaran. 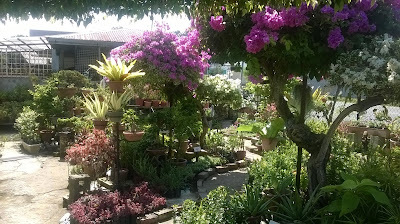 It also has an associated nursery in Labuan which is still call Green Cottage Landscape.